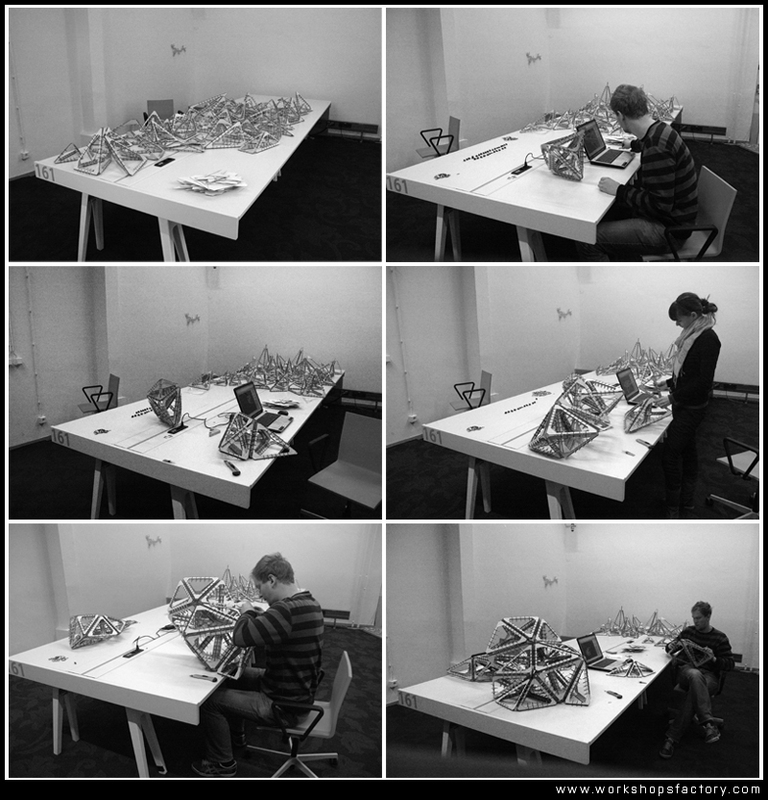 A part of the form of the Interwoven Systems Project (done in the Hyperbody Studio / TU Delft) was chosen for final prototyping in 1:25 scale. 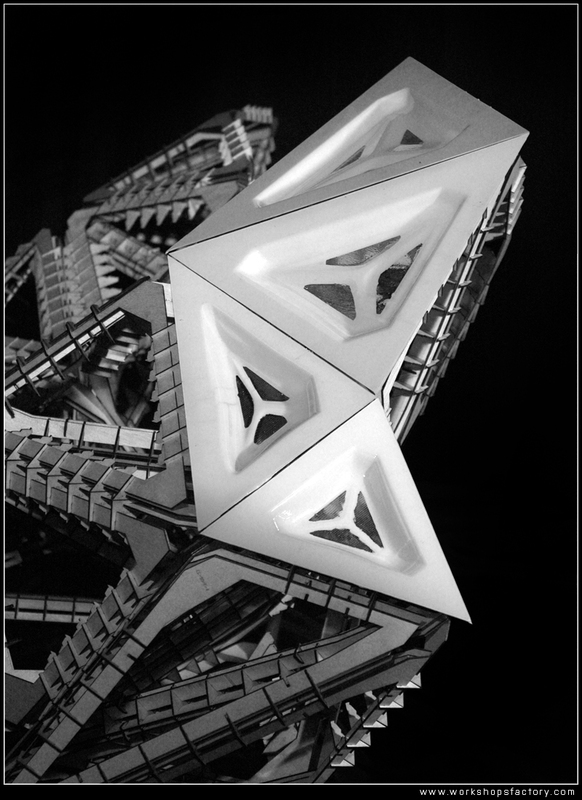 The aim of the prototype was to test structural and formal aspects of the project, as well as the accuracy of the generative procedure, which combines both scripting and digital fabrication techniques. All the structural beams and joints were laser cut out of 2mm plywood. However facade elements were made following completely different process. First of all we did three dimensional molds by 3-axis CNC milling, and then based on them we vacuum formed all the cups. The diagram above shows which part of the final form of the project was chosen for the prototyping. Moreover it visualizes and describes all the elements of the coming prototype. 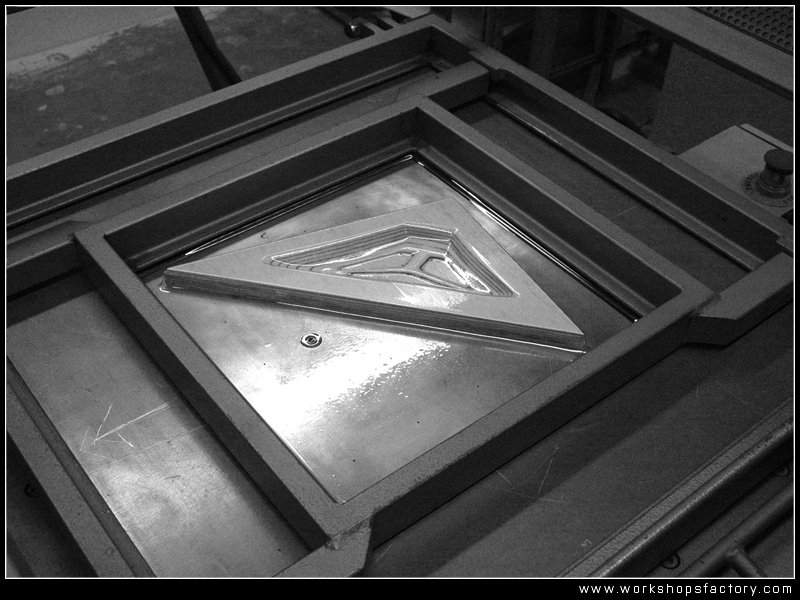 All the pictures below present the final prototype with vacuum formed facade elements. Because of the fact that we were able to vacuum form just a couple of plastic facade parts, for the rest of the model we fabricated elements by laser cutting 1mm white cardboard. More information about the Interwoven Systems Project you can here (process of generating elements and fabrication process) and there (form finding simulation and final visualization). 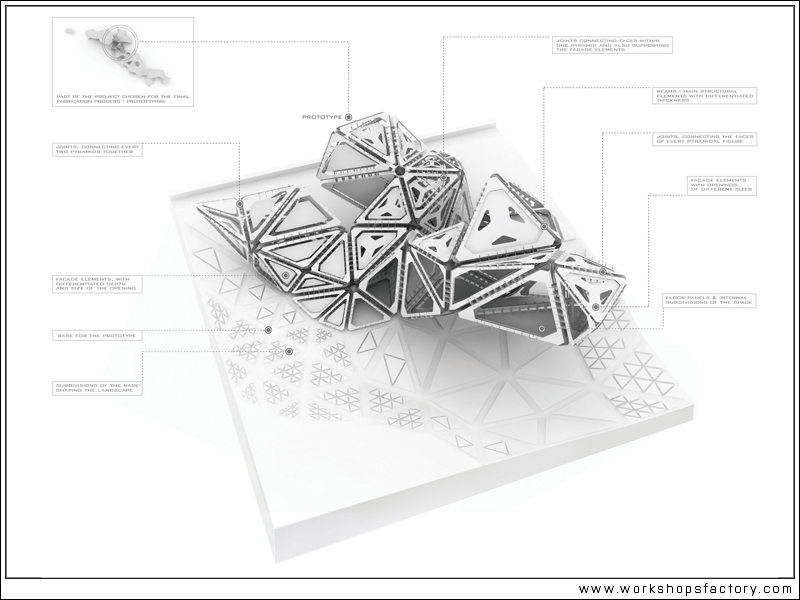 The main purpose of the ‘Interwoven Systems Project’ was to explore continuous process of computational design, which can be finally materialized by applying CAD/CAM technologies. 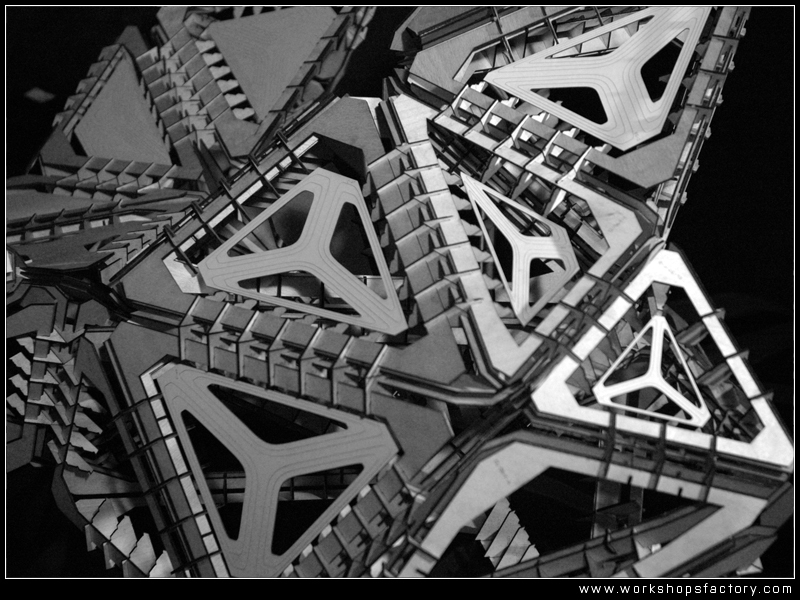 For this reason, a part of the overall form was chosen for a prototype in 1:25 scale. 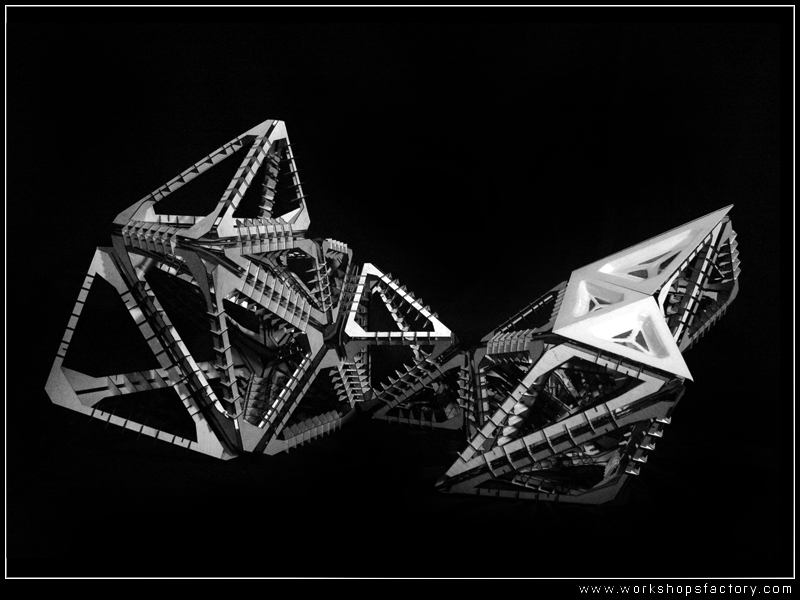 By doing this prototype we were supposed to test structural and formal aspects of the project, as well as the accuracy of the whole generative procedure, which combines scripting and digital fabrication techniques. 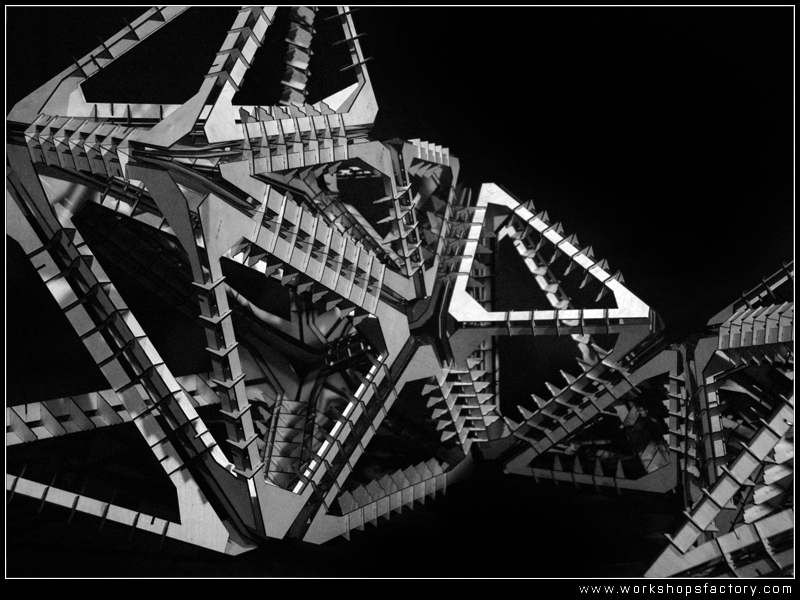 Rhinoscripting was used here as a generative tool to create digital model of the prototype and later on prepare files for final fabrication. The video presents process of generating structural elements of the prototype based on preliminary geometry of the form taken from Processing application. Three different digital fabrication techniques were applied to build final prototype. 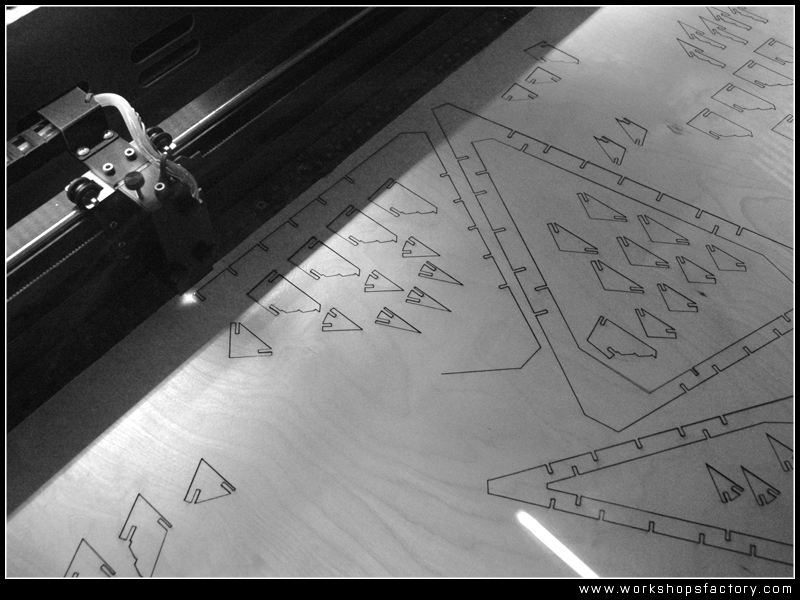 Laser cutting was applied to cut all structural elements and all the possible types of joints. 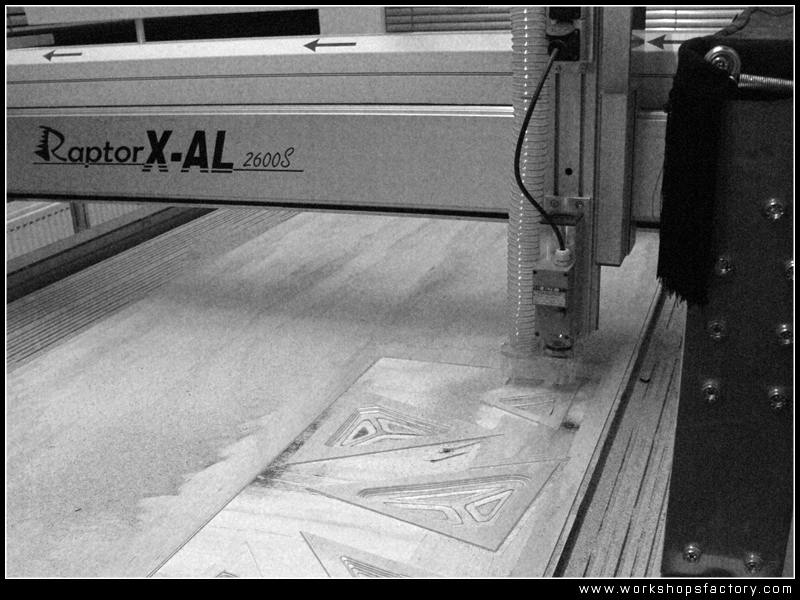 In the next stage of fabrication CNC milling was used to create wooden molds for some of the facade elements, which later on were vacuum formed out of one milimeter plastic sheets. Final assembling process of 68 three-dimensional components (272 different faces and 2856 different joints). More information and images of final prototype will be available soon. Credits to Marco Verde for help with final fabrication.